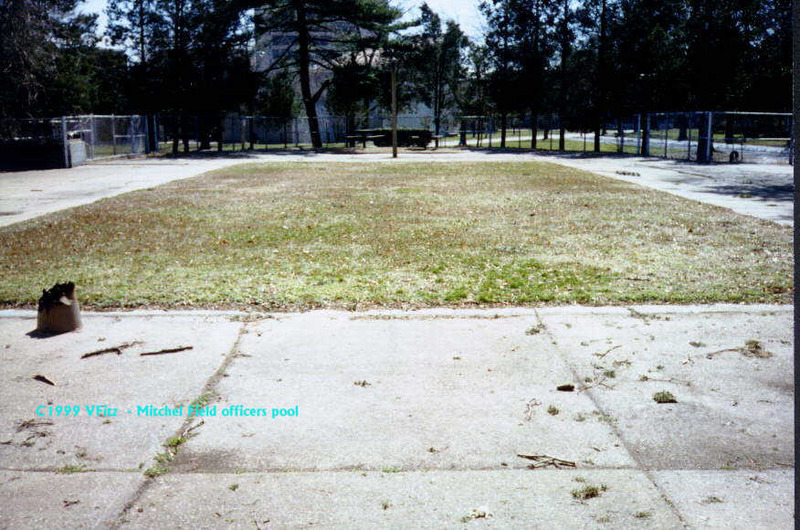 Mitchel Field - Officers Club Pool. This is the entrance to the pool across from the officers club. These are the changing rooms. I may be wrong, but I think it closed due to overly hard water. The no diving rule is still in effect. 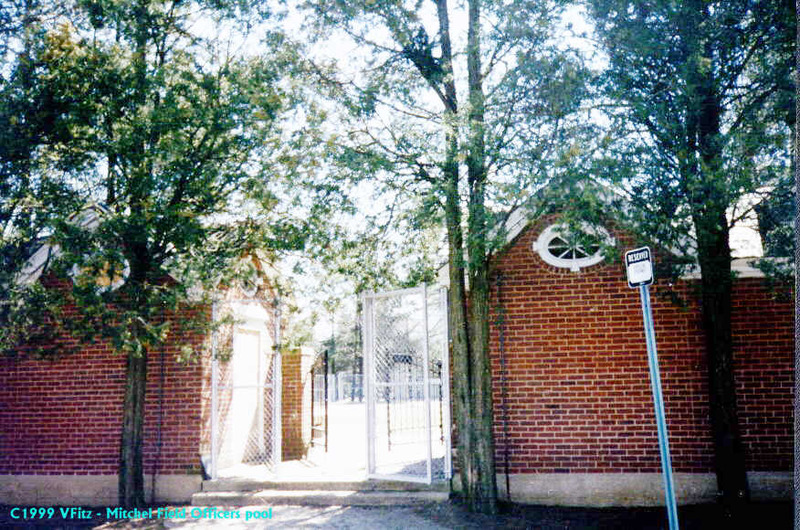 There is still an operating pool behind the present day gymnasium.